From the consumer perspective as someone considering MBA options, you can think of Association to Advance Collegiate Schools of Business accreditation as a way to filter out programs that might not meet your standards, both in terms of the quality of the educational experience and the kind of clout the school’s reputation has. Out of the more than 1000 business schools currently operating in the United States, around half are AACSB-accredited. It is the oldest of the specialized business accreditation agencies, originally formed in the early part of the 20thcentury when the education designed to prepare corporate leaders had taken on an entirely new dimension in the century after the early titans of American industry effectively created big business on the scale we think of it today. As the first of the three major business accreditation agencies operating in the United States, it is also the most highly respected and most widely recognized in the world. Most of the oldest and most well-respected business schools consider it to be the gold standard. In fact, many of those top schools will only hire faculty who have themselves received a degree from an AACSB-accredited school. The agency’s mission is fostering engagement, accelerating innovation, and amplifying the impact of business education. It pursues these goals through developing stringent, but achievable, standards of business education and evaluating how well programs conform to those standards. Equally importantly, the association monitors accredited schools to ensure that they remain in compliance with the standards. Each school is required to complete a questionnaire annually about their practices, and AACSB conducts a mandatory review of strategic progress every five years. AACSB is unique among the three specialty business accrediting bodies in that it is the only one to be certified by the International Organization for Standardization (ISO), an organization with global scope comprised of 162 agencies throughout the world responsible for maintaining globally recognized standards in everything from technology to food safety to healthcare to education. AACSB will only evaluate well-established institutions with recognized business programs, and will only accredit those that meet the highest standards. Naturally, with business being global in nature, the association has recognized the importance of international standards and international business education, and has done so for quite a long time. That recognition has been a two-way street. AACSB is well aware that different cultural situations and the educational paradigms found in different countries can all be equally valid and viable in providing a high-quality business education. Today, it adopts standards that are flexible in the way they interpret pedagogical approaches or cultural norms, while still being very strict about the standards of quality for business education. AACSB also puts a high value on research and teaching when it evaluates an institution. This is a key differentiator from the other accreditation agencies, and it ensures that an AACSB-accredited business school has faculty who are deeply engaged in business studies and cutting-edge approaches to strategy development and analysis using the latest tools and techniques. Although you will find many AACSB-accredited schools proudly proclaiming that only 5 percent of business programs worldwide hold that valuable designation, in the United States it’s a little less exclusive… around 50 percent of American B-schools are AACSB-accredited. When shopping for a degree that will establish the path for an entire career, everybody wants to make sure they’re looking at options well north of the 50thpercentile – you want a list that’s been narrowed down to only the best online AACSB-accredited programs. For starters, we’ve done our best to choose only programs that are exclusively, 100 percent online from start to finish. Within the AACSB’s own designation of online programs, many are, by conventional standards, hybrid programs involving quite a lot in the way of on-site requirements. We know that when most people look ahead to the barriers to completing a program, they invariably start gravitating toward online options. And when most people think of an online program, they’re really looking for something that is entirely online with no on-site orientations, occasional weekends or intensives. One of they key criterion for making this list is that there is never a requirement to ever set foot on campus. We spent a lot of time considering the quality of faculty and the types of concentrations or specializations that each school has to offer. Business is becoming compartmentalized, and the more specific instruction you can get in a particular vertical, the more valuable you’re going to be to companies that are hiring. Finally, we looked for the secret sauce: unique or outstanding internship or capstone opportunities, superlative Learning Management System software, or simply programs that went the extra mile to integrate online students into their already excellent on-campus programs. Since we’re not infallible, we also took into consideration rankings from other third parties who look at MBA programs, respected sources like Fortune, The Economist, and U.S. News & World Report. The results, you’ll find, offer a wide array of excellent choices you can select from. And since they’re all entirely online, every one of these options is on the table for you no matter where the school’s main campus might be located. The University of North Alabama’s 34-credit MBA programs have earned themselves a solid reputation in the business world, thanks to national accolades by publications like CEO Magazine. And there’s a perfect fit for every student since UNA offers two MBA options based on your previous education and experience. Choose the regular MBA and you’ll be able to choose from one of nine concentrations to specialize in, or choose the Executive MBA if you have significant business experience and you’re looking to advance your management and leadership skills. Just a few of the reasons the University of North Alabama’s MBA programs stand out from the competition include a highly qualified faculty, flexible coursework delivery options, and opportunities to specialize in contemporary areas like information systems and global business. The MBA program at University of Alaska Fairbanks is your opportunity to grow as a business leader in general administration or finance, thanks to quality, individualized instruction and the option of choosing a concentration in either General Management or Capital Markets. And thanks to its fully online, self-study curriculum, you can complete this program while fulfilling your professional and personal responsibilities. No business degree? Simply complete a set of foundational pre-MBA online courses and you’ll be prepared to tackle this comprehensive and contemporary grad degree. Whether you’re interested in leadership positions in industry or government, the University of Alaska Fairbanks’ MBA degree has you covered. Complete this 30-credit program full-time and you’ll complete it in just 2-3 years, although you can take longer and complete it at your own pace. Arizona State University’s Online MBA is where versatility meets a highly focused and fully customizable course of study. With two start dates per year and condensed, five-week courses offered entirely online (you’ll take just one course at a time), this program is able to provide busy, working professionals like you with a truly convenient path to earning an MBA. Ranked fifth in the nation among Online MBA programs by U.S. News & World Report’s 2019 Best Grad Schools list, the Online MBA at ASU is all about academic excellence, but it comes with its share of benefits and perks, too, including technical assistance and support, outstanding career services through the W.P. Carey Career Services, personalized career coaching through the school’s career development team, and an impressive alumni network of more than 90,000. Do you have at least 5-10 years of work experience? Consider the university’s Professional Flex MBA, part-time program that’s offered two nights a week on ASU Tempe’s campus or fully online. Both MBA programs can be fully customizable by choosing among more than 40 electives, concurrent degrees, or technical certificates. Arkansas State University’s Online MBA really does have it all. Want proof? It’s the only business program that’s been nationally ranked among the top 15 programs in the nation for both its quality and affordability. It was also created to accommodate students of varying academic and professional backgrounds, which means you’ll find the robust curriculum ideal whether you’re a recent graduate or an experienced professional. The Online MBA, designed specifically for working professionals who need the flexibility of a distance learning program, offers the option of a general MBA or concentration in Supply Chain Management or Finance, so you can be sure you’re completing a grad program that best aligns with your career goals. The Neil Griffin College of Business also has a strong, international reputation for the rigorous curriculum it offers, the world-class faculty found here, and the global alumni network of corporate leaders and entrepreneurs. The Online MBA at California State University Stanislaus provides you with the flexibility you need to juggle your personal and professional responsibilities with a graduate education that will prepare you for leadership positions in business and industry. In addition to its focused and comprehensive course of study, you’ll be able to personalize the Online MBA through your choice of electives in areas like HRM, CIS, accounting and marketing, or chose to focus in Finance specifically if you’re working toward a CFA license or just want a deeper understanding of investment and finance. This 30-credit MBA program offers its share of perks for the online learner, including an asynchronous learning environment that allows you to learn at your own pace and on your own schedule…close interactions with an esteemed faculty through online office hours, Skype video conferencing, and Elluminate! Live virtual classroom sessions…and opportunities to connect and collaborate with your peers. Part-time or full-time, on-campus or online, the University of Colorado Denver’s MBA options are all about convenience and flexibility. Want another reason why this program easily earns a top spot among MBA programs – how about 19 more? As in 19 specialization options allowing you to fully customize your MBA, along with more than 100 elective courses you can choose from to fulfill the program’s 15 hours of electives. Whether you complete this program online or on-campus at the downtown or South Denver campus, rest assured knowing that you’re receiving the same quality instruction from the same world-class faculty. You’ll also enjoy a low, 12:1 student-to-faculty ratio, rolling admissions, and the opportunity to complete your degree in as little as 16 months or as long as 5 years. Interested in global business? The MBA also includes an international course requirement that provides you with the option to complete an international class or embark upon a study abroad trip to places like Belize, China, or Denmark. Quinnipiac is renowned for its academic excellence and student success, and its Online Only MBA program is no different. In fact, this program ranked first in the nation among Online MBA programs in Connecticut and 35thin the nation among business programs in 2018 by U.S. News & World Report. Designed to produce business leaders who excel in nearly any business environment or corporate structure in the world, this program offers the option of pursuing a general MBA curriculum, which includes choosing your own electives to suit your professional goals and interests, or focusing on Healthcare Management, Finance, or Supply Chain Management. And while this program is offered entirely online, you’ll always feel connected and engaged, thanks to Quinnipiac’s supportive educational community that includes the same, full-time faculty as the on-campus version of the program. Pursue your MBA here and you’ll be part of a robust alumni network of 15,000—99.3% of whom reported landing a job or continuing their studies just six months after graduation. There’s plenty of reasons why the Online MBA at University of Delaware was ranked 22nd in the nation by U.S. News & World Report in 2018—and why you should put in on your short list of MBA programs to consider. This fully online program is ideal for anyone from recent graduates to career changers to experienced business professionals, and its fully online course delivery means that your work-life and location will never get in the of earning an MBA. The accelerated option will get you the MBA you’re after in just 16 months—or you can take longer, if a more relaxed pace is more your thing. You can specialize your MBA with one of five majors and 12 concentrations, so you’ll not only graduate with a robust foundation in business principles, but also niche expertise that will make you extremely competitive in a specific industry. Want even more options? You can customize your degree by choosing the electives that match your personal career goals or choose among two or more concentrations to create the best fit for you. As a graduate of the Lerner College of Business & Economics, you’ll be part of a massive network of more than 23,000 alumni located across the country and around the world. Business and analytical skills delivered with an ethical focus are at the heart of the Online MBA program at The George Washington University. As a student here, you’ll be part of an internationally focused program that emphasizes emerging markets, hands-on experiences, and a global mindset. But this program’s also about convenience and accessibility, which is why it’s delivered to you in a fully online format that won’t interfere with your current professional and personal responsibilities. You’ll also appreciate this program’s flexibility, which allows you to personalize your graduate course of study by choosing from 11 concentrations (six of which can be completed fully online) and more than 200 electives. This full-time program consists of 55 credits that can be completed in three years. You can also choose from over 20 short-term study-abroad opportunities, led by GW faculty and partner universities, to further enhance your education. Interested in completing your online MBA in a part-time format? Choose the school’s Professional MBA, which can be completed on-campus, online, or a hybrid of the two. Florida International University already has a longstanding reputation as a leader in business education, so it’s only befitting that they would offer a fully online program for the working professional. The Online Corporate MBA not only provides busy professionals like you with the convenience and flexibility that comes with fully online course delivery, but it also allows you to enhance your expertise in a particular area of business, such as Entrepreneurship and Innovation, Strategic Negotiations, International Business, and more. You’ll need either four years of full-time professional work experience or two years of full-time experience, along with a GMAT or GRE to qualify. This fully online grad degree has flexible scheduling options and can be completed in 18, 21, or 33 months. While this program allows you to study on your time, you’ll still feel connected to your instructors and peers, thanks to discussion boards, chats, and emails. You’ll also enjoy plenty of support, thanks to e-advising, e-tutoring, and support from an academic coach. This program has also earned its share of accolades, including a spot on the list of Best Online MBA Programs by U.S. News & World Report in 2018 and 18th among the top online MBAs in the world by Financial Times in 2018. It’s also part of the renowned Chapman Graduate School of Business, which has garnered national and international attention for its groundbreaking research, global reach, and strong graduate recruitment by Fortune 500 companies. The University of North Florida’s Online MBA offers an internationally renowned business education that was ranked fourth in the nation by the Financial Times in 2018 and ranked in the top 15 among full-time MBA programs in U.S. public universities by U.S. News & World Report. The Online MBA is designed to suit your professional goals, whether you’re a new graduate or an experienced business professional, thanks to its rigorous course of study and the guidance you’ll get from the nationally recognized and respected faculty at the Warrington College of Business. This innovative program, which is offered fully online, requiring no campus visits, consists of five-week, accelerated courses that are delivered through recorded lectures and distance-based technology. You’ll watch lectures and complete assignments and group projects when it fits your schedule. For the best in convenience and flexibility, the Online MBA can be completed as a two-year (24-month) program, a two-year hybrid program that meets Saturday and Sunday once every four months, or as a one-year hybrid program for students with undergraduate business degrees. Boise State University, ranked as one of the Top 20 Public Schools in the West by U.S. News & World Report, is home to the Online MBA, also recognized for its academic excellence and ranked 51st on the same list. With at least two years of management experience, this fully online, 49-credit program can be completed in as little as one year, making it a sure bet for working professionals like you who want to advance their education without getting in the way of their professional obligations. You’ll benefit from this program’s convenient, distance-based delivery, along with the contemporary curriculum that explores project management, leadership accounting, finance, marketing and legal issues. You’ll also have access to the College of Business and Economics’ outstanding advising and career services. From Managerial Communications to Design Thinking and Strategic Management to Global Economics: Policy and Trade, the courses you’ll find in Boise’s Online MBA is aimed at experienced business professionals who have their eye on contemporary and relevant issues in business today. Southern Illinois University’s College of Business has mastered the art of the dynamic and interactive online program through its Online MBA, a fully online degree that’s delivered in a highly engaging cohort format. Choose this MBA and you’ll not only receive a rigorous course of study led by the same faculty who teach the full-time, on-campus MBA, but you’ll be part of a cohort of fellow, like-minded professionals pursuing similar goals. This 23-month program, delivered in a focused, modular format, features 16 courses, delivered one at a time over eight weeks. Depending on the course objectives, you may watch videos, collaborate with your peers on group-based assignments, participate in threaded group discussions, or complete online assessment exercises. Best of all, you’ll complete all course requirements through an asynchronous format, so you’ll always be able to schedule your grad work around your professional and personal responsibilities. You’ll also love the options for specialization this program offers – choose a general MBA or a focus on Agribusiness Economics or Analytics for Managers. SIU is just one of a handful of universities in the U.S. that offer an agribusiness concentration as part of their MBA program! The online MBA offered through the Miller College of Business at Ball State University is perfect for graduate students from just about any background looking for a flexible program focused on building competencies in leadership, business ethics, and strategic decision-making. The flexible curriculum is designed to accommodate both business and non-business undergraduates, making it just as was well suited to traditional business graduate students as it is to career changers and working business professionals who haven’t been in the classroom for years. Want the campus experience? Complete your MBA on-site and you’ll enjoy participating in student organizations, immersive learning projects, graduate assistantships, and more. Do you need the convenience and flexibility of distance-based study? Choose the online MBA and you’ll appreciate a fully online course of study with no residency requirements. Do you want the best of both worlds? Ball State has a blended MBA for you, featuring both online learning and face-to-face interaction with the university’s esteemed faculty. Students like you will also enjoy the convenience of part-time or full-time study and flexible start dates in the fall, spring, or summer. This comprehensive MBA program can also be customized with one of five different concentrations to suit your professional goals or personal pursuits. The MBA Online program at Emporia State University is second to none, featuring the most relevant and contemporary curriculum delivered entirely online by the same highly qualified faculty that teach the on-campus MBA. Delivered in accelerated, seven-week courses, you’ll be able to complete the 36 credits in as little as 12 months, according to your own schedule. Whether you’re a career changer, recent graduate, or seasoned business professional, this program is for you, and six start dates throughout the year mean you’ll be able to dive into the program sooner than later. Best of all, this program allows you to customize your MBA according to your specific career goals and professional interests through 12 hours of electives or the choice of specializing in Accounting, Information Systems, or Marketing. Kentucky’s Morehead State University understands the demands of today’s business professional, which is why they offer an MBA in a truly convenient, fully online format. This flexible course of study will allow you to advance your business leadership skills while still fulfilling your professional responsibilities. Consisting of 30 credit hours, the Online MBA is ideal for recent graduates and experienced business professionals alike. Do you have an undergraduate degree in an unrelated area? This program is for you, too, thanks to a streamlined option that allows you to complete prerequisite courses as you transition into upper division courses. If you’re interested in an MBA with a healthcare focus, Morehead has you covered with the optional Health Systems Management Track. Plus, if you want the opportunity to take your MBA global, you’ll have plenty of options to study abroad, thanks to Morehead’s many education abroad programs and collaborative exchange agreements with foreign universities. Whether full-time or part-time, the Professional Online MBA at Louisiana Tech University provides you with the convenience and flexibility of a fully online program. This general MBA program consists of 30 credit hours that can be completed on you schedule, from wherever it’s most convenient for you. This program is also ideal for students without an undergraduate degree in business. Simply complete the six foundation courses, which are also available in a Fast-Track program, and you’ll be ready to pursue your MBA. There are plenty of other reasons why this program made our list, including an impressive 93% job placement rate within six months of graduation, rolling admissions, outstanding student services for those seeking job assistance, and exceptional affordability. The University of Maine’s Online MBA is a 30-credit, comprehensive program designed to provide you with essential business knowledge in the areas of accounting, finance, marketing, and management. As a student of this program, you’ll enjoy: a world-class faculty who serve as active researchers and consultants in their fields…convenient, rolling admissions…and a dynamic, engaging online delivery method that includes both asynchronous and synchronous formats. Earn your MBA through the University of Maine and you’ll be part of a public research university with an outstanding alumni network of 109,000 and a 150-year legacy of producing tomorrow’s leaders. A top-tier, distance-based MBA with a proven track record of student success is available through University of Baltimore. As a matter of fact, U of Baltimore was the first in the nation to develop and offer an AACSB-accredited MBA. Choose this program and you’ll enjoy the same content and collaboration between faculty and students as you’d get from the school’s on-campus version of the program—all from the comfort of your home. Few MBA programs offer as many options to specialize as this one. Choose from 11 contemporary areas of specialization, including Cyber Security and Organizational Resilience, Entrepreneurship, and Healthcare Management, or customize your MBA to suit your professional goals by choosing from the vast array of electives available here. For even more flexibility, the Online MBA is delivered in six, seven-week sessions over the year, making it easier to fit classes into your busy schedule. Whether you’re a seasoned business professional, a career changer, or a recent graduate, the Online MBA at University of Massachusetts Dartmouth is for you! This robust and comprehensive course of study is available entirely online, allowing you to earn your MBA while still meeting your personal and professional responsibilities. You’ll complete two courses per semester for five consecutive semesters, although you can also complete it at a slower pace, depending on your personal needs. Located in the esteemed Charlton College of Business, which was recognized by the Princeton Review’s 2015 as one of the ‘Best 295 Business Schools,’ the Online MBA offers a host of perks for the online student, including one-on-one personal advising, small class sizes for the best in individualized instruction, and free online tutoring. You’ll learn from a highly qualified faculty of seasoned professionals and customize your MBA by choosing three electives that best align with your professional goals. Just some of the outstanding electives offered through the College of Business include Logistics Strategy and Management, eCommerce and Digital Marketing, and Corporate Responsibility/Business Law. With more than 44 years of academic excellence as a foundation, Central Michigan University’s MBA program is where future managers learn about emerging business trends and contemporary issues. The Online MBA, which offers the same content and is led by the same, esteemed faculty as the on-campus MBA, is designed specifically for the busy, working professional who requires a flexible and convenient path to their MBA. Ranked among the Best Online MBA Programs by U.S. News & World Report, this 36-credit program emphasizes advanced skills in accounting, finance, marketing, and management, along with the option to specialize in a variety of different areas. Whether you’re new to the field of business or have years of business experience, the MBA program at Minnesota State University Moorhead will prepare you to become a more effective leader in your industry. This fully online program requires no face-to-face meetings or courses, and is ideal for all students with an undergraduate degree in any field. This program can be completed as a general MBA or with a focus on Healthcare Management. Thanks to live, interactive sessions, you’ll always feel connected and engaged with instructors and your fellow students. Can’t attend the live sessions? That’s okay too since all sessions are recorded for easy viewing whenever it’s convenient for you. This 37-credit program is located in the Paseka School of Business, which boasts a dedicated faculty, outstanding network of alumni who serve as leaders in all industry sectors, and opportunities for study abroad experiences, which include a regularly scheduled trip to China. Ole Miss has long had a world-class MBA program at their AACSB-accredited business school. It’s your good luck that the same program, taught by the very same instructors, is now available online from anywhere in the world… for one low rate, whether you’re from in-state or out-of-state. The program focuses on developing analytical skills and the breadth of judgment necessary to turn students into effective decision makers in any business environment. The faculty builds your business knowledge from the ground up, starting with instruction in leadership and ethics, then builds to a peak in a strategic management capstone course that emphasizes the cross-functional integration of all the tools you’ve learned up to that point. You’ll graduate as a confirmed management asset that any organization will be happy to hire. Missouri State University’s Traditional MBA consists of 18 foundation courses in a fully online or on-campus (day and evening classes) format for the best in convenience and flexibility. But it’s more than just convenient. This highly customizable program can be specialized through your choice of electives or by combining it with a number of graduate certificates. Plus, seminar classes will provide you with real-world experiences, while the College of Business Administration’s MBA Association will provide you with valuable networking opportunities, professional development opportunities, and access to the university’s tightly knit MBA community. Its academic rigor and affordability have earned it accolades from esteemed publications like U.S. News & World Report, which ranked it among its top online MBA programs, top online programs for veterans, and most affordable online MBA programs. Not only did the Financial Times rank the MBA@Nebraska online degree program as the best value for the money, but it also found that the program was the best in the world for commanding top salaries… on average, graduates earn 40 percent more after obtaining their degree! With 5 specializations available, you can dive into a focus area that aligns with your particular interests, or you can design your own with the extensive electives available. You’ll also have the opportunity to earn certificates in business analytics and supply chain management along the way, building out your credentials to further appeal to future employers. No wonder graduates pull down such impressive salaries! Although you can complete the entire MBA program from UNH online, it also offers you the option of attending some courses in person. It’s a perfect fit for flexibility if you like the option of on-campus attendance but don’t have the time to complete every class that way. The online courses were specifically designed to accelerate your progress by integrating courses and identifying key skills and concepts. Classes at UNH are known for in-class discussions and projects, all of which can be performed asynchronously to fit into your schedule. With six specialization options available, you can find a focus in this degree that will boost your career no matter what field you plan to work in. Combining business and high-tech is a Stevens specialty. In today’s world, that’s a combination that is increasingly in demand. Stevens opts for a unique approach in designing MBA options for every category of student. While the general Stevens MBA program offers a traditional online approach, the school also has a 3-year Executive MBA program for students who need even more flexibility in course options, and an on-campus Analytics MBA for a specialized technology focus you won’t find anywhere else in the country. The array of dual-degree options offered by the college also allow you to customize your expertise in six different areas with a little extra elbow grease. It’s no surprise that students from Stevens placed 7th in a recent international business competition sponsored by Google. Right on the doorstep to the beating heart of American business in New York City, you can bet Hofstra has some of the most experienced and highly-ranked faculty of any online MBA program in the country. Strong connections with the city’s business world don’t stop there, either. Network options are legion in Hofstra’s program. The cohort class option will put you together with the same group of students throughout your time at the school and ensure that you leave with strong bonds and solid connections. You also have the option of taking a non-cohort model, which gives you the flexibility of spreading your courses out over as many as 5 years, letting you earn your degree around the demands of real-life obligations. Manhattan College is a big believer in practical work as a fundamental component of business education. The school has excellent opportunities for experiential studies, all informed by its location right on the doorstep of the New York business world. That includes internships with KPMG, Morgan Stanley, and the New York Mets. Or if local options aren’t your thing, you might find yourself on a study trip to India, Germany, or Palestine… all part of former student-driven projects. That breadth of opportunity is good news for students, who are required to fill at least two of their twelve total courses with experiential classes. You will definitely get a slice of business reality during your time at Manhattan College, delivered by instructors who have been out there building the real thing for most of their careers. The networking opportunities and contacts you’ll make at Manhattan College are more than worth the cost of admission. The MBA@FayState program is the least expensive program in the North Carolina state system, and one of the least expensive in the country. In fact, the college claims to be the #1 most affordable online AACSB-accredited MBA program. But you’re not paying for less—with eight specialized concentrations available, there’s a lot of options and a lot of expertise on the menu at FayState. The technology systems supporting the online degree are top-notch, too, with the ability to stream lecture content in real-time. As needed, you can watch the same class as a recording, complete with closed-captioning. At the College of Business and Economics at Fayetteville State University, you can participate in polls and Q&A sessions and stay just as connected with your instructors or fellow students as if you were on campus. If you didn’t think of North Dakota as a powerhouse in national and international business skills development, it’s time to think again. UND has a highly respected program that offers students unique opportunities to participate directly in major investing decisions or to get an audience with current U.S. political leaders directly responsible for policy decisions. Their international concentration has a study abroad option that will open your eyes to how business is done in thriving Scandinavian economies and teach you the skills you’ll need to succeed in the complicated world of business overseas. UND will surprise you and hand you the critical thinking and decision-making skills you’ll need to thrive in any part of the modern business world. In a unique twist, online MBA students are fully integrated into on-campus courses. You will attend the same classes as other students through a virtual lecture that puts you in the classroom at the same time with the same instructor. Classes are scheduled in the evenings to accommodate the schedules of working professionals, but there’s no better way to get the full MBA experience! Partnership with the Youngstown Business Incubator offers entrepreneurial study opportunities for grad students. The Williamson College likes to brag that its home at Youngstown is in the most technologically advanced building on campus. You might not ever set foot in that building as an online student in their MBA program, but you’ll feel the advantages every day as you connect with experienced and attentive faculty. The flexibility of online course options doesn’t mean a sacrifice in quality at Youngstown. You get the same great experience and connections as traditional students. You also get the same immersive training in leadership and real-world problem-solving, anchored in the paid internship program the school provides. OSU’s online MBA program doesn’t just offer you a ton of flexibility when it comes to attendance and scheduling. The school also represents one of the most diverse programs in the country for unique and focused concentrations and joint degree options, with more than 13 different combinations to choose from. Those include such regional concentrations as energy business alongside such global options as a joint MS/MBA with the Universidad Popular Autónoma del Estado de Puebla, a Mexican university located in Puebla, outside Mexico City. That’s not the only international option the university offers; you can choose from international study options ranging all across Europe through the Center for Advanced Global Leadership and Engagement as well. OSU’s hallmark is the kind of collaborative experience that mimics the corporate world combined with the soft-skill development that shapes great leaders. Strong alumni network helps you form valuable industry connections well before you graduate. OSU is so dedicated to advancing the cause of online education that it gave it’s online programs their own virtual campus: the OSU Ecampus. In June 2018, the school broke 1,000 online-only graduates for the first time… a good sign that their virtual learning efforts are working their magic with students. With two solid concentration options in the most popular specialty focus areas today, the school doesn’t stretch itself thin trying to meet every need. Instead, highly qualified instructors can focus in on delivering the very best, most up-to-date skill sets you’ll need in the real world after graduating. Positioned in a thriving state on the Pacific Rim, OSU is also a good place to be if international business topics are on your radar. The school works with industry partners with strong oversea connections, providing you with opportunities to participate in projects that will prepare you for global business. CUMentor program links alumni and employer partners with current students to provide valuable mentoring during the program. Clarion is a small school—only 5,200 enrolled students—that delivers big results with its MBA program. The school only has three colleges, providing a level of focus in business and information science you won’t find at many other universities. With a 5-year combined bachelor/MBA track, you could start off with Clarion and be out in the business world with your master’s in hand in no time. And thanks to the school’s specializations, that degree will be more than just a piece of paper… you will have the option of honing your skills in any one of the 5 concentrations offered in the program. The interactive model Coastal uses in their MBA program serves to make all three program delivery modes (online, face-to-face, or hybrid) more or less interchangeable, and certainly equal in terms of the high-quality education experience you’ll get. You’ll be presented with the same top tier curriculum from the same instructors regardless of which option you pick. Those instructors bring industry experience to the table and share a commitment to depth, breadth, and flexibility in teaching. The interpersonal skills that business professionals need to succeed are emphasized to prepare graduates for the increasing complexity of the American business environment. The Beacom School at the University of South Dakota is a regional leader in business education. If you choose to take their online MBA program, though, you can take advantage of that status (and their affordable global tuition rate!) from anywhere in the country… a great thing, when it means avoiding those South Dakota winters! The hard, practical approach to business skills that comes from living in those conditions comes through no matter where you are, though. The program emphasizes analytical and critical thinking skills. This is the raw stuff of decision-making that will help hone your mind into a tool that processes business decisions like a combine harvester plowing through winter wheat. It’s hard to believe that such an affordable online MBA program can deliver so many benefits, but UT-Martin leaves many larger and more expensive programs in the dust with its commitment to effective online education at a reasonable price point. Although the admission requirements are stringent, the cohort-based curriculum structure provides a rigorous introduction to oral and written communication skills, business ethics, and leadership and organizational skills. The program stresses the integrated nature of modern business management. Nonetheless, the flexible program delivers all the benefits of online learning that you need, such as asynchronous coursework delivery and multimedia messaging systems for interaction with faculty and classmates. Complementary 1-year online subscriptions to the Wall Street Journal and Bloomberg Businessweek keep you up-to-date on current business news. UNT offers a lot of options for MBA students with 14 separate concentrations on the table with their standard MBA program. Some of those are hybrid offerings, with a combination of on-campus and online courses required, but 6 are entirely online and presented in an accelerated format that can have you out on the street with a diploma in hand in as little as 14 months. An MBA in Finance is also available as a hybrid option for a different sort of specialization. UNT keeps students focused on the real-world through experiential learning activities. The complementary financial journal subscriptions that come with your enrollment further emphasize this focus. The school expects you to hit the ground running once you exit the program and gives you every tool you need to succeed in the world of business. Delivery: Fully online (some concentrations), on-campus, or hybrid. The Global MBA program at UHV is squarely focused on international business studies. The entirely online program prepares you for business in a world that is increasingly going online. The fact that UVH graduates are so popular with major multinational employers like DHL and Siemens shows that the school’s internationally-tailored curriculum results in the perfect fit. With Houston a hotbed of international commerce, you’ll make contacts and network with the right group of fellow students and faculty to line up your dream job well before you get to graduation. With a flexible study plan, you can have your diploma in as little as 18 months. The hybrid strategic MBA program offers a more traditional MBA option. The Huntsman School makes it their business to develop leaders of distinction in commerce and public affairs. Negotiation skills and leadership development are core components of the curriculum in this MBA program. You can tell that students are the focus of this program with one glance at the website. Where other schools tout their national recognition and awards, Huntsman highlights individual students and staff who have won recognition. It all fits in with the school’s vision of making investments in students and expecting them to make their own contributions to the larger community after graduation. The USU alumni network is a strong set of connections for any graduate to rely on in either business or personal efforts. ODUOnline programs provide the same course sequences taught by the same instructors as you’d find on the main campus in Virginia. When you’re getting started with the program, a dedicated Online Advising and Support group walks you through every step using the expertise they have developed advising online students. These, among other specialized online accommodations, have lead to the Strome College at ODU being recognized as a key innovator in business education in Virginia. Graduates are trained to become effective business professionals in the global business environment. For current ODU students, a linked early-entry program allows you to jump start your MBA while still an undergraduate. Not only is the MBA program at the Carson College of Business now online by default, but they have added an executive online MBA option for currently employed professionals who want to advance their career but need the extra flexibility an executive option offers. But neither of those choices means that you will be disconnected from fellow students or the energy of campus life. WSU’s Global Connections program brings webinars, live streamed lectures, and other traditional events to you no matter where you are in the world. Everything from book clubs to speakers from top corporations like Boeing is available to remote students free of charge, tying you in with the larger college community. MUOnline is the name of Marshall University’s dedicated online degree services. Built around the popular Blackboard Learning Management System software, it’s the perfect platform for delivering Marshall’s sterling MBA program to students anywhere in the country. The program provides a solid base of financial and quantitative analysis methods with which to understand business operations, then takes you up through the theory and practice of business policy and strategy. You’ll walk out of Marshall’s virtual halls equipped with all the information and skills you need to step into a high-paying executive role in any industry. The MBA program at UW-Whitewater prides itself on developing business people who can think globally, behave ethically, and lead innovatively. To that end, the school commits itself to a detailed, 8-point assurance of learning objectives and traits that every MBA graduate will achieve by the time they graduate. The program is structured into four components to meet this plan; 1) the Common Body of Knowledge prerequisite courses to get you up to speed before starting, 2) the core breadth requirements, 3) your emphasis courses, 4) and electives. The emphasis options at UW-Whitewater are legendary… 10 structured specializations that will help you drill down into anything from supply chain management to international business skills, plus one more choice: a customized emphasis option that allows you to mix and match specialty courses to meet your personal learning objectives, all with the careful guidance of the Graduate Business Office. 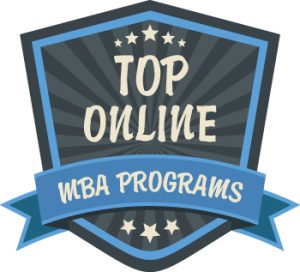 UW’s cohort-based online MBA program incorporates an innovative curriculum that is designed to build on each subsequent course with the support of both faculty and fellow students. The courses integrate theory and application of common business practices and encourage the kind of teamwork and cooperative leadership that will mark you as a top candidate for real-world executive positions. The online program is designed as a two-year, part-time degree for working professionals seeking to improve their education and advance their careers. But the school also offers an early career MBA (on-campus) aimed at students who are transitioning directly from a bachelor’s degree program before entering the corporate workforce.